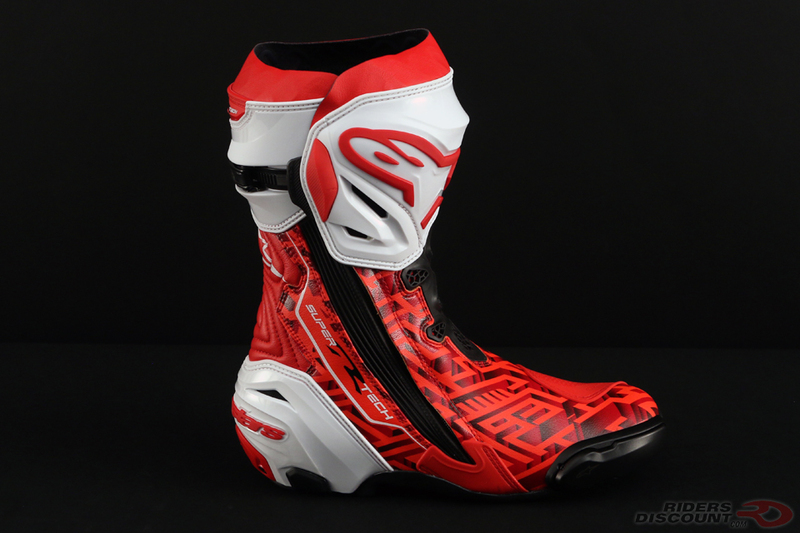 Brand new for 2017, the Alpinestars Limited Edition MM93 Maze Supertech R Boots were designed to celebrate MotoGP rider Marc Marquez’s appearance at the British GP. Made of microfiber and synthetic leather, the Supertech R is both light and durable. A new front flex area made up of thermoplastic polyurethane (TPU) and mesh provides a more breathable and comfortable fit. This new construction of the front flex area is more abrasion resistant than the original version. 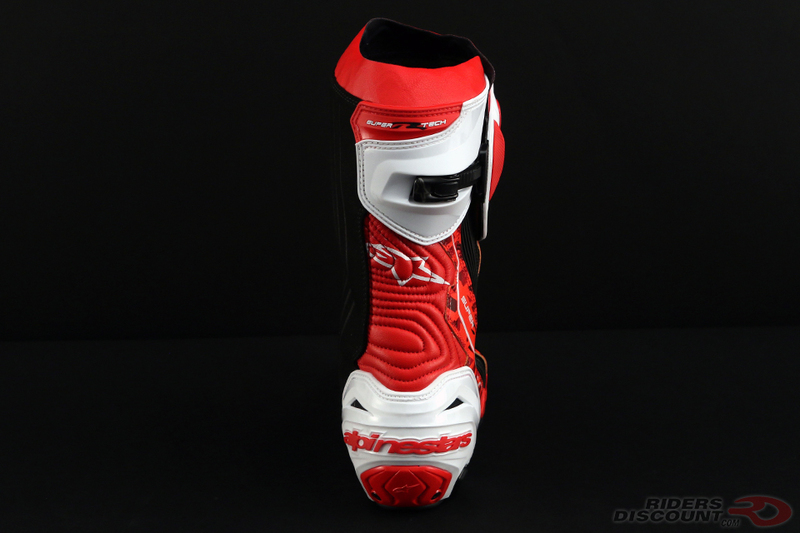 The sole of the boot is made out of lightweight rubber that is flexible for when the rider changes positions. 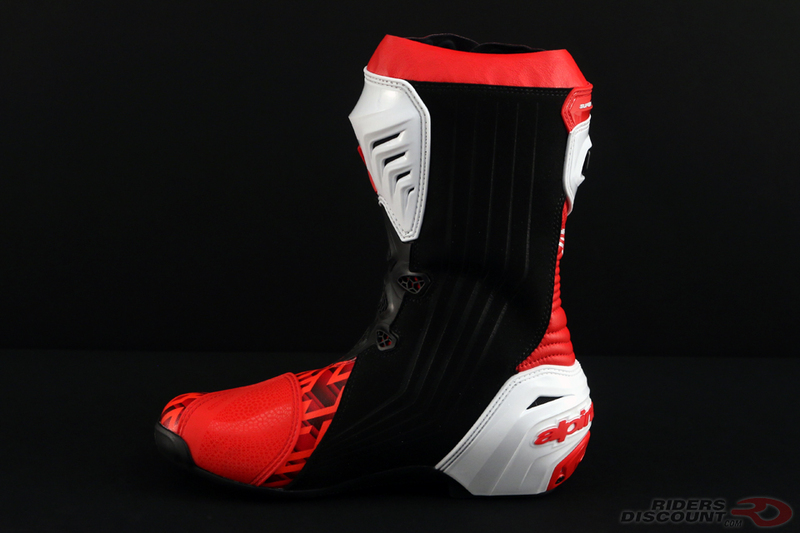 Additionally, the boot contains a replaceable, co-injected TPU/aluminum toe slider for added toe protection. The protective polymer heel plate slider is also replaceable. The Supertech R has accordion microfiber stretch in both the Achilles and the top of the boot, making it easy to put on and take off. 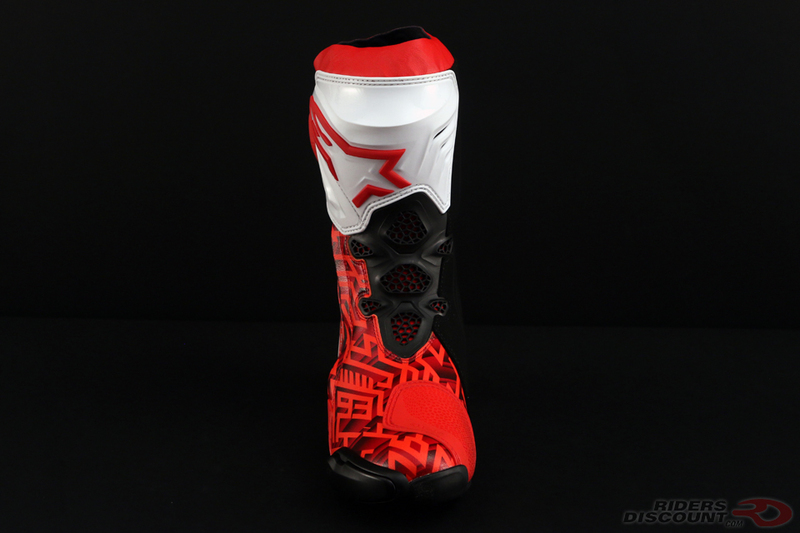 The boot is equipped with both a TPU zipper and a Velcro tab to ensure the boot stays closed during use. It also features a micro-adjustable ratchet top closure for a safe and precise fit. A completely removable inner ankle brace incorporates protection around the side and back of the foot. 3D mesh material wicks moisture, keeping feet cool and dry. 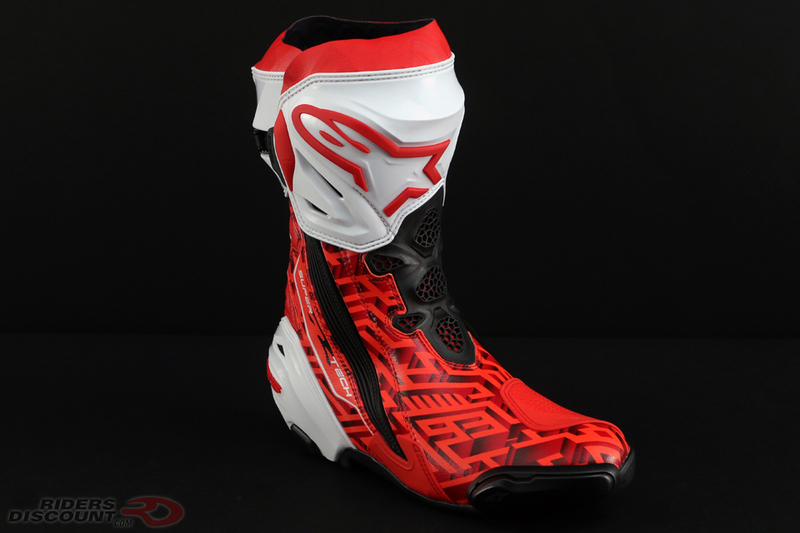 The Alpinestars Limited Edition MM93 Maze Supertech R Boots are CE certified to EN 13634:2010 standards. 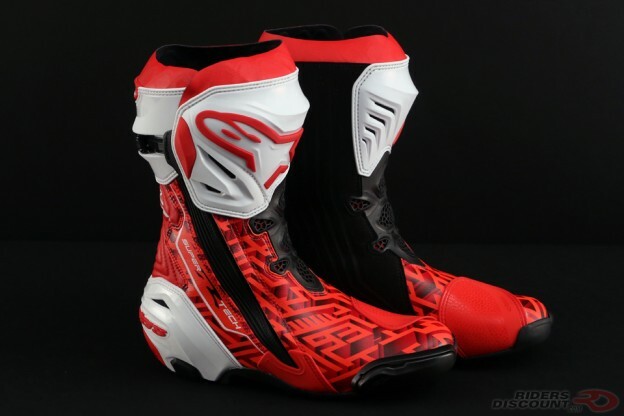 This entry was posted in News, Product Reviews and tagged Alpinestars, Marc Marquez, Marc Marquez Boots, MM93 Maze Supertech R Boots, MotoGP, Riders Discount, Supertech R Boots on August 28, 2017 by Riders Discount.